The house smells so wonderful. My penchant for Scrooge-like feelings during the holiday season has slowly been replaced by warm memories of my children’s joy for the season. For children, yes, Christmas can be a lot about presents. If you are a good parent, if you can overcome the bombastic rampant commercialism, there is an underlying simplicity about the season that can pull at the heart like no other time. Yes there are the presents. But then there is the smell of the tree. The gingerbread house. The decorating. The Christmas cookies. The story of Christmas. Family. Daddy’s Christmas Day roast. Santa. The music. Friends. The warm fireplace and the happy dog. Long after those presents are gone, the memories of our close family during this time will linger on. 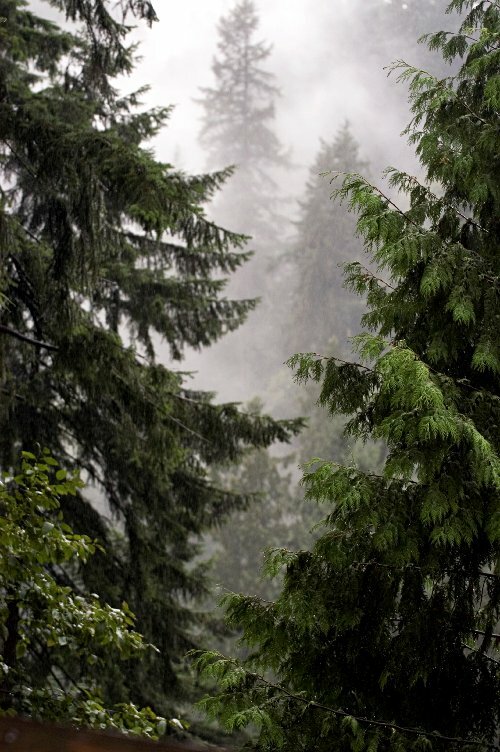 One day my sons will be walking in one of the great national forests around here, and after the morning rain, smell the fresh scent of grand firs. And it will smell like Christmas. And that will be magical, always magical, even in the dead of summer, it will be Christmas magic.